This book not only presents an inspiring argument for reading aloud, it has list after listof what to read, when, and why. Someone gave me this book when Carlyn was born, and I can honestly say that it was my favorite baby gift. It has lasted the longest, for one thing, and has had an immeasurable impact on my whole family. 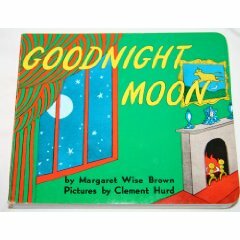 Everyone loves this book for good reason. It never loses its gentle charm no matter how many times you read it–and as anyone who owns it knows, you will read it a lot. Three fluffy, wise little owls wait for their mommy to come back to the nest-and she comes. It’s all a human baby needs to know, and it’s told with such reassuring language and lilting rhythm, they will believe it every time you read it. 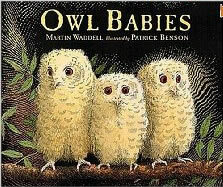 My favorite part is how Bill, the smallest of the three owls, says, "I want my mommy!" over and over again until, on the last page when the mommy owl has returned, he changes his refrain to, "I love my mommy." These magazines are well written, colorful, seasonal, engaging, and wonderful in every way. There are no advertisements-just stories, comics, and a few puzzles and games. 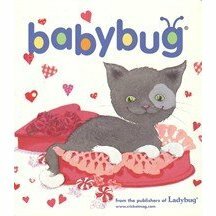 Get Babybug for the new baby, and one of the other titles for older siblings. The simplest possible repetition and a surprise on every page make this the perfect first picture book. In preschool, my kids both made their own versions on construction paper with pictures of friends and family. We still have them. 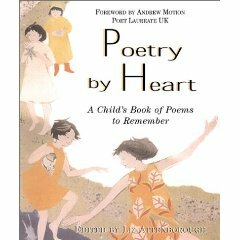 There are plenty of terrific books of poems and almost any one you choose will probably become a favorite because poems and kids just seem to go together. My family loves Shel Silverstein’s collections for their loopy inventiveness, but we go back to Poetry by Heart again and again because the art is so inviting and because there are so many poems that are easy to read and remember. It offers both short and long poems, silly and serious poems, and new and classic. An endlessly entertaining book for a lit­tle kid. You lift the flaps, you get to chant, "No" whenever you don’t find the dog, and in the end, you find the dog. 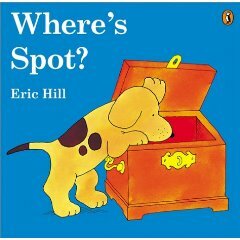 You can give someone their first copy of Where’s Spot? and leave them to buy the replacements they are sure to need. 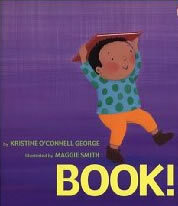 George celebrates a small child’s first love affair with a book. The gleeful, chubby child comes up with some clever uses for his new toy and takes it everywhere — even to bed. Bright, bold pictures add to the air of festivity. I dare any book-lover not to crack a smile. Raising a Reader gives an inside look at what it’s really like in a home where kids are learning to read — and it’s not always pretty. If you’re in the business of passing on a love of books, this is the book for you! Read a chapter at www.jennienash.com. Raising a Reader is Jennie’s third book. She’s also written articles and essays for scores of national magazines. She lives in Los Angeles with her husband, their two girls and lots and lots of books! From Raising a Reader © Jennie Nash 2003. Reprinted with permission from St. Martin’s Press and available wherever books are sold.